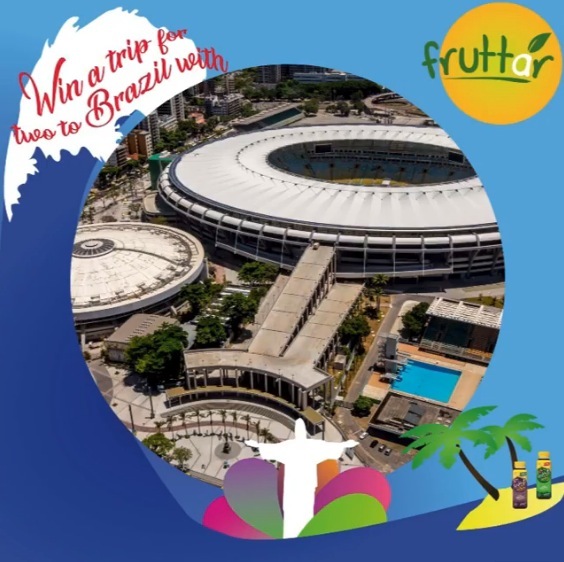 Enter now the Fruttar Contest on Instagram for your opportunity to Win a trip for two to Brazil and more. Contest is open only to legal residents of Canada who have reached the age of majority in the province or territory in which they reside. Via Instagram: Follow @fruttardrinks and like the contest post. Follow the instructions on the post for additional entries. Via Web Site: Visit the contest web page located at this link and fill out the entry form with your name, last name and email address, answer to the marketing-related question and submit it. Contest closes on February 26, 2019 at 11:59 pm ET. Winner will be selected at random from all eligible entries. The Fruttar Contest Trip to Brazil Contest’ commences at 12:00:01a.m. ET on December 30th 2018 and ends at 11:59:59p.m. ET on February 26rd 2019. The draw will take place on February 28, 2019. Winner will be contacted by Instagram DM or email.